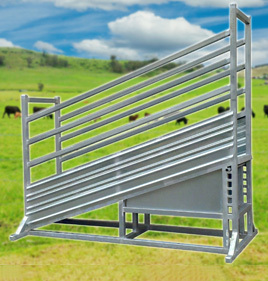 Ace Equipment is your one-stop shop for cattle handling equipment. 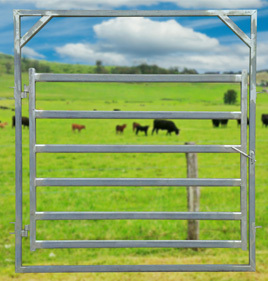 We stock a great range of enclosure products that includes cattle panels, loading ramps and even a cattle race bow. 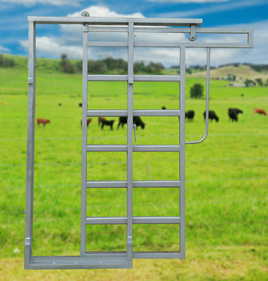 Whether you require sliding cattle gates to facilitate the easy moving of cattle from one paddock to another or need a heavy duty vet cattle cage to aid in administering cattle drench and other medicines, you’re sure to find the product you need for sale within our range. 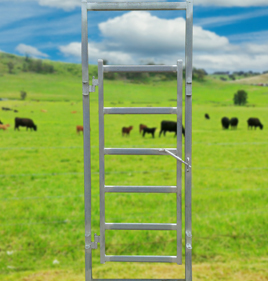 Adjustable heavy duty loading ramp – Built tough and made to load cattle, our adjustable heavy duty loading ramp is made from durable galvanised steel. 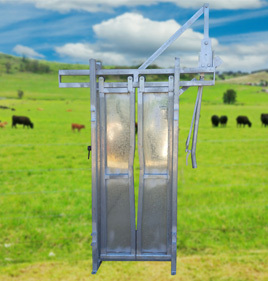 Cattle yard head bail – Easy to use, made from galvanised steel and built to last, our cattle yard head bail is fully lockable and designed to fit our panels and gates. Cattle race bow – A cattle race bow is an essential part of any enclosure, helping to hold everything together. We stock a range of options to choose from. 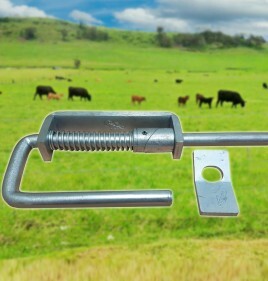 Heavy duty vet cattle crushes – Perfect for administering cattle drench and other bovine medicines, our cattle crushes are an essential piece of agricultural equipment. Heavy duty cattle gates – Made out of galvanised steel and featuring six rails, our heavy duty cattle gates are suitable for existing enclosures and come complete with heavy duty gal pins and drop bolt locks. 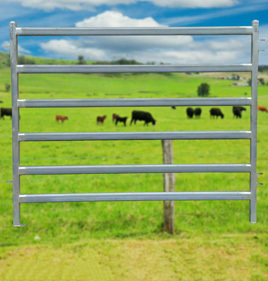 Heavy duty and economy cattle panels – Complete with heavy duty gal pins and made out of galvanised steel, the heavy duty and economy cattle panels we have for sale feature six rails and are suitable for existing enclosures. 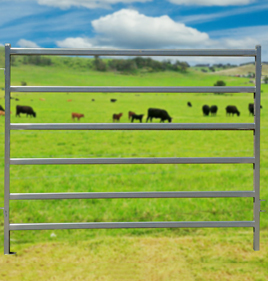 Sliding and standard cattle gates – We stock both sliding and standard cattle gates that are built to last and made from durable galvanised steel. 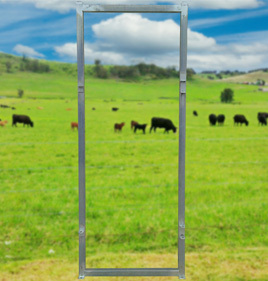 Cattle man gates – If you’re constructing a cattle enclosure and require quick and easy access for yourself, a durable cattle man gate is just what you need. 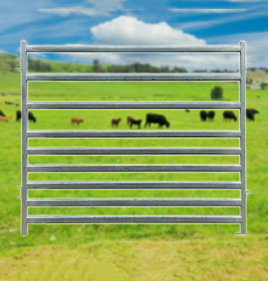 All of the items we have for sale are constructed from high-quality galvanised steel for ultimate durability and come complete with all hardware necessary for installation. 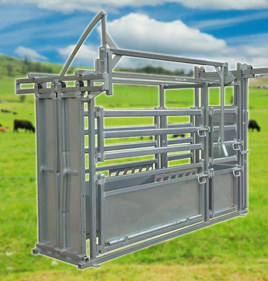 From sliding cattle gates through to a cattle race bow, it’s quick and easy to purchase the cattle handling equipment for sale from Ace Equipment. Simply click on the product for sale that you’re interested in and contact us with the product’s stock ID to arrange an order. We’ll then deliver your item wherever you are in Australia.